Charles Suddeth: Book launch for my picture book Spearfinger is Saturday, August 5 from 1:00 to 3:00 at the Learning Express of Louisville. We will have a book reading, refreshments, and children’s activities. Come join us! Spearfinger, a witch, terrorizes the Cherokees of the Smoky Mountains. No one can stop her. A little boy named Chucha battles her. Can he discover her secrets? Can he put an end to her rampages? Bilingual Cherokee/English picture book in paperback and hardback. 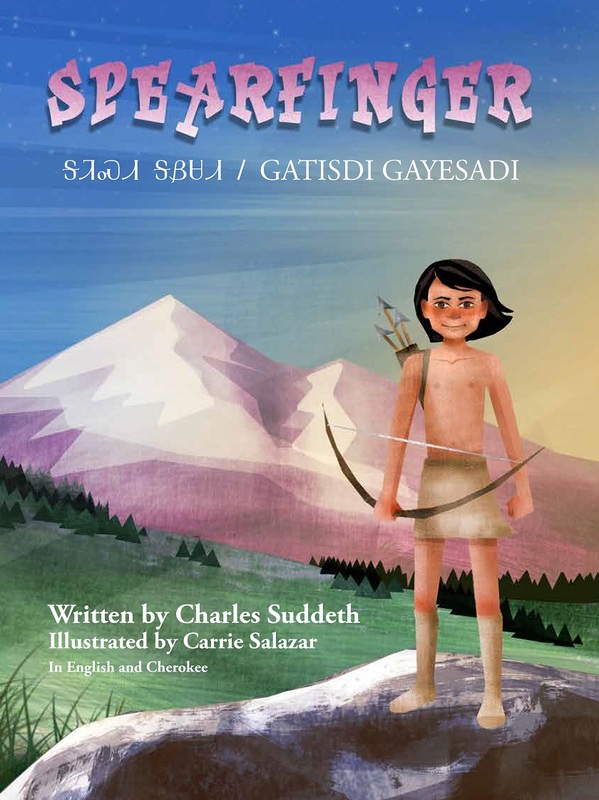 Contains 60 pages of full-color illustrations and text in English and Cherokee. Illustrator: Carrie Salazar. Translators: Lawrence Panther and Tim Nuttle.